Living in Southern California means I don't really have a need to check the weather all that often. But every now and then, I'm caught off guard by a particularly chilly or hot day—no one wants to be the only person walking around with a T-shirt and sandals on a rainy, 50-degree day. While Google Now does a pretty good job of informing me what the weather is, I still wanted something that could convey the same information without me having to check anything. 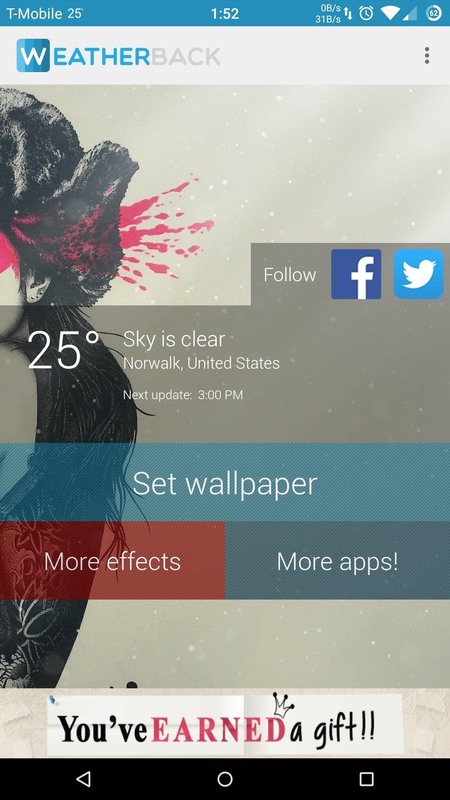 Weatherback Wallpaper, from developer aceou, fetches your local weather data and adds a weather overlay to your wallpaper. 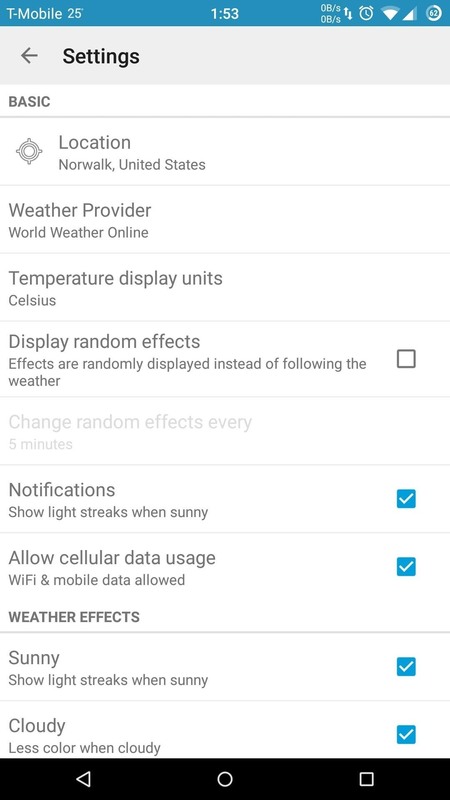 This means you can continue to use your favorite wallpaper and have a visual weather forecast right on your home screen, allowing you to painlessly gauge what the weather's like outside. 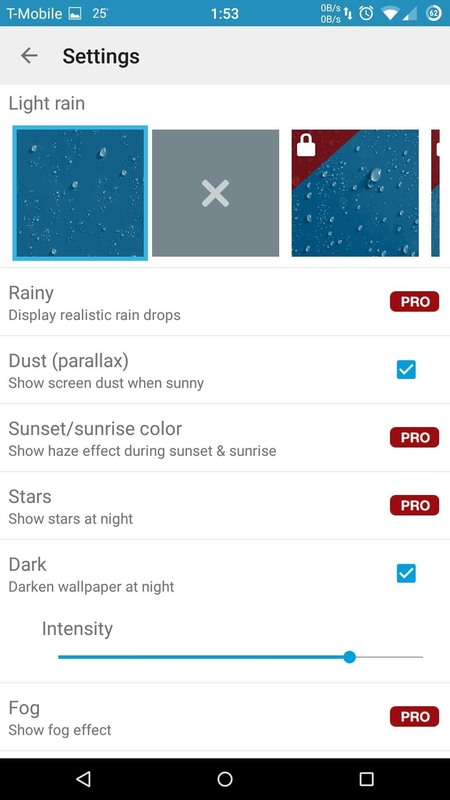 To get started, download Weatherback Wallpaper from the Google Play Store. This app will work with any Android device that is running Android 4.0.3 or above. The free version of the app does not come with as many customization options as the $1.99 Pro Version, but you can tweak a few elements by tapping "Settings" from the overflow menu. There you will find sliders to adjust the intensity of the overlay effect and select which types of weather conditions you want shown. 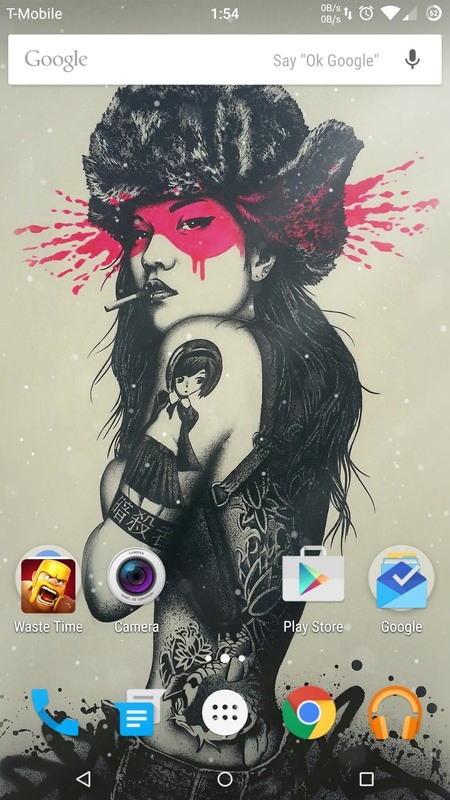 Once you are happy with your settings, go back to the main menu and tap "Set Wallpaper." This will bring up your current wallpaper with a live preview of the current weather settings. To save the wallpaper, tap "Set wallpaper," but if you want to use a different background, go back to your home screen to change your wallpaper as you normally would, then repeat the process.